Michael Crichton’s novel Jurassic Park was first published in the year 1990, and quickly shot up the best seller list, becoming Crichton’s best known book. It was adapted into a blockbuster film in 1993, directed by Steven Spielberg. The film also became a huge hit but was a very different beast to the novel, both in terms of theme and characterization. Readers are often surprised when going back to the original book and finding how different the book was before making the transition to the big screen. While both works are classics of their genres, this piece will showcase the differences between the two, showing how different they are even if they share the same characters, plotline, and principal ideas. The book’s content is for lack of a better word not family friendly. While the film has several disturbing or scary sequences (such as the Velociraptor scene in the kitchen), it was given a much more whimsical spin thanks to Spielberg’s involvement. The novel, however, features numerous violent, gruesome scenes that are not for the faint of heart. A straight adaptation of the novel would certainly have been an R rating at the very least. The thematic heart of the novel is also much more of a cold, science fiction thriller, in the vein of Crichton’s earlier works such as The Andromeda Strain. The dinosaurs are utilized to explore the themes of chaos theory and challenges the readers to think about the questions raised. Many pages are devoted to the science behind the story, including numerous sequences where Ian Malcolm (played by the marvelous Jeff Goldblum in the film) waxes philosophical about the dangers of creating dinosaurs. In contrast, the movie is lighter, being a mostly family-friendly adventure film that touches on these themes but does not devote the soul of its work to them. The characters in the book also underwent significant changes between the page and screen. The novel’s cast fit the colder vibe Crichton is aiming for, a more intellectual experience than an emotional one. They often speak in science jargon, appraising the situation in these terms, always matter of fact and to the point even in stressful situations (like being hunted down by the Tyrannosaurus when the containment system fails). Some characters only undergo small changes, such as Dr. Alan Grant and Ellie Sattler, who remain palaeontologists brought in to consultant on John Hammond’s park. Hammond himself is a different character altogether. In the film he is a grandfatherly type, misguided but ultimately genuine in his desire to create a dinosaur park, Hammond in the novel is an outright villain. The problems the park suffers are all traced back to him, as Hammond cuts corners to bring his park to life, defrauding investors and blackmailing his own employees. His motivations are inherently selfish, desiring to bring the park to life only to make money, expositing in private he only will allow visitors with the most money he can squeeze from them into Jurassic Park. He even uses his own grandchildren as pawns, bringing them to the park solely as emotional blackmail if his investors try to shut him down. The book also features more elaborate sequences featuring the dinosaurs, such as more species featured, a pterodactyl attack, and more chapters featuring the famed Tyrannosaurus, including several chapters where the T rex pursues the grandkids down a spiralling river. With the complexities bringing dinosaurs to life onscreen, it makes sense that the film could only feature them in a handful of scenes, although they certainly made the most of when the dinosaurs did appear. Still, it shows how powerful the imagination is, no budget required to bring action to life. In the end, neither work is better than the other, each presenting a different look at the same material. The book is more of an intellectual experience, while the film is an emotional action-adventure. I’d highly recommend reading the book and showing how different a work can be before changes are made in adapting it for the screen. 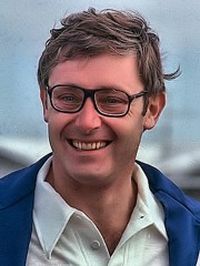 The story of Jaws is the story of Peter Benchley. Mr. Benchley recalls in his memoir, Shark Life: True Stories About Sharks & the Sea how, when he was young, he often encountered sharks while fishing with his father and developed a fascination with them. 1964: Montauk fisherman Frank Mundus famously caught a great white shark weighing in at 4,550 pounds. Peter Benchley was twenty-four at this time. 1971: According to BBC News, Peter Benchley was a struggling freelance journalist, who was married with children. One day he met with publishing house editors via his literary agent. Doubleday editor Thomas Congdon dismissed Benchley’s non-fiction and asked Benchley if he had any ideas for fiction. “I want to tell the story of a great white shark that marauds the beaches of a resort town and provokes a moral crisis,” Benchley said, and Mr. Congdon’s interest was peeked. “The first five pages were just wonderful,” Mr. Congdon recalls, but the rest – not so much. Mr Congdon asked for rewrites, disliking the comedic tone the novel was taking. Then he disliked certainly scenes, arcs, even disliking Benchley’s title, Stillness in the Water. It did. And with an ear in the publishing business, film producers Richard Zanuck and David Brown read the novel before it was even published. They bought the film rights and got Steven Spielberg on board, who had directed Duel, about a couple trying to get away from a monstrous semi-truck driven by an unseen individual, and was fresh off 1974’s crime drama Sugarland Express. The novel came out the same year its film adaption was in pre-production. While John Baxter, in his biography of Steven Speilberg, claims that the novel’s entry on California best-seller list was the result of Spielberg and the producers buying hundreds of copies of the novel to send to the press, the novel did exceptionally well in other parts of the country. It was a New York Times bestseller for forty-four weeks, second only to Watership Down. 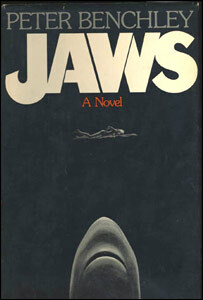 By the time Jaws was released in theaters, the novel had sold 5.5 million copies domestically. However, changes were made. The film put more focus on the shark and the three protagonists – Brody, Hooper, Quint – and completely omitted many of the novel’s minor subplots. 1982: Peter Benchley published The Girl of the Sea of Cortez about man’s complicated relationship with the sea. 2002: Benchley published Shark Trouble. At that point, he had become an activist on behalf of the sharks and, according to CBS, had made numerous educational documentaries on the species and written articles for publications like National Geographic. Later that same year Peter Benchley passed away. 2008: Frank Mundus, the inspiration behind Jaws passed away. Despite starting out as a shark hunter, he too later became a shark conservationist.